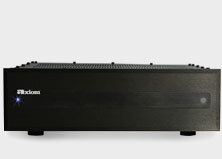 A/V Receiver Power - Leave Off or On? Q. Should I turn my A/V receiver power off, or, like my computer, just leave it on all the time? Does it draw lots of power on startup causing undue strain over time? If I do leave it on, should I turn the volume to zero or is mute ok? Thanks. – I.Z. A. This debate has been going on for years. It grew out of the vacuum-tube era of recording studios and early vacuum-tube computers, where there was good reason to leave tube equipment running all the time. Tube gear takes some time (hours or even days) for the circuits to stabilize whereas solid-state circuitry settles down in a few minutes or less. The surge of power to the tubes' cold heater elements also shortened tube life each time tube gear was turned on. But that just isn't true of solid-state gear used on an occasional basis—even every day—in domestic applications like home theater and music reproduction. The turn-on power surge for solid-state equipment has negligible life-shortening effects, given the remarkable longevity of modern transistorized components. Unless you are running a recording studio 24 hours a day, it makes no sense to leave your A/V receiver power on all the time. Heat is the enemy of all circuitry over the long term, and all components generate heat. This is especially true of A/V receivers, which jam seven amplifiers plus control circuitry onto one chassis. (Incidentally, the position of the volume control or whether the receiver is set to “Mute” is irrelevant.) If you want to see how much power you are wasting in heat when you leave the receiver power on all the time, look up the “idling power consumption” in the specifications section of your receiver owner's manual. It will likely be at least 120 watts if it's a 5.1-channel (or more) surround-sound model. That's like leaving a 120-watt light bulb running all the time. 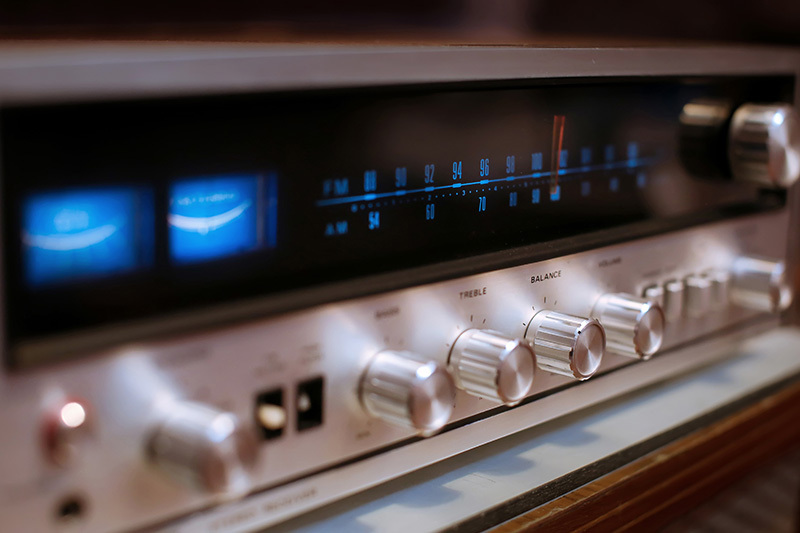 And most A/V receivers nowadays have “Standby” circuits that use a tiny bit of power to keep the infrared remote receptor and circuit active, so you can use the remote control to conveniently switch the unit on or off. In the days of abundant cheap electrical power 30 years ago, many TV sets had an “Instant On” feature (my old Sony Trinitron had it) that kept a low voltage supply to the picture tube's heater element so the TV didn't have to “warm up” for a couple of minutes. But most brands eventually dropped that feature as the cost of electrical power moved upwards. Still deciding on equipment? Receiver power consumption is just one consideration - see more here! Today's topic is Outdoor Speaker placement. There are a variety of options available for placing them, and some things you need to keep in mind when you are positioning and mounting them, because outdoor speakers, depending on the environment, may not work the same way as a pair of speakers in your living room or home theater. Andrew Welker: In this video we're going to discuss positioning our LFR1100 omnidirectional speakers - both placement and how to wire them up; in particular, some of the settings on the DSP unit. 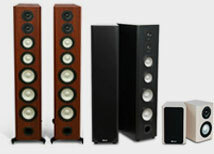 Looking for a way to get high-end sound in any room of your house? In wall ceiling speakers may be the answer! Whole-house music is something a lot of us yearn for - it can be as practical as wanting to listen to the radio while making lunches in the kitchen, or as decadent as wanting the music to follow you no matter where you are during a party. If you have an iPhone, iPad, or Mac, and you use iTunes, it's as easy as 1-2-3. 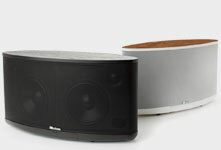 Transmitting sound to your patio speakers First, you need a pair of patio speakers. Front Speakers: Bookshelf, Floorstanding, In-Wall, On-Wall or In-Cabinet? 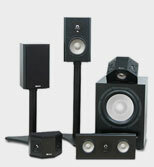 Choosing the best front speakers for your room can seem overwhelming at first. There are so many variations of the traditional stereo speakers that you can't be blamed for yearning for the early days of one-size fits all brown wooden speakers with bright orange woofers. A Matter of Scale: What Is the Correct Speaker Volume? 'Crank it to eleven'? What is the correct speaker volume? "Has anyone noticed that when playing back music, every source has a "correct" volume? By that I mean the sweet spot. TV Sound System: How Can You Get Great Sound To Go With Your Great Picture? There's something so appealing about a big new television, isn't there? Thoughts of movie nights with the family gathered around, seeing the big game in thrilling HD that's so realistic you feel like you're right on the field . As I write this, the first day of spring has arrived in the Northeast and yet light snow is falling. So, until spring-like temperatures and glorious weather have truly arrived, this is a good time to do a check-up of your entire AV system. LCD or Plasma as the Best TV Display Technology? Q. Which TV display technology is best? LCD or Plasma? Some store sales people claim that plasma sets use twice as much power as LCD sets. 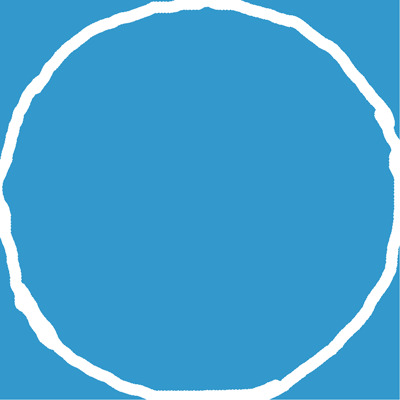 Why is delay important for DVD-Audio or SACD surround music systems? Q. I keep seeing criticisms on audio forums of the new DVD-Audio and SACD high-resolution audio formats that suggest that "they have no bass management or delay.